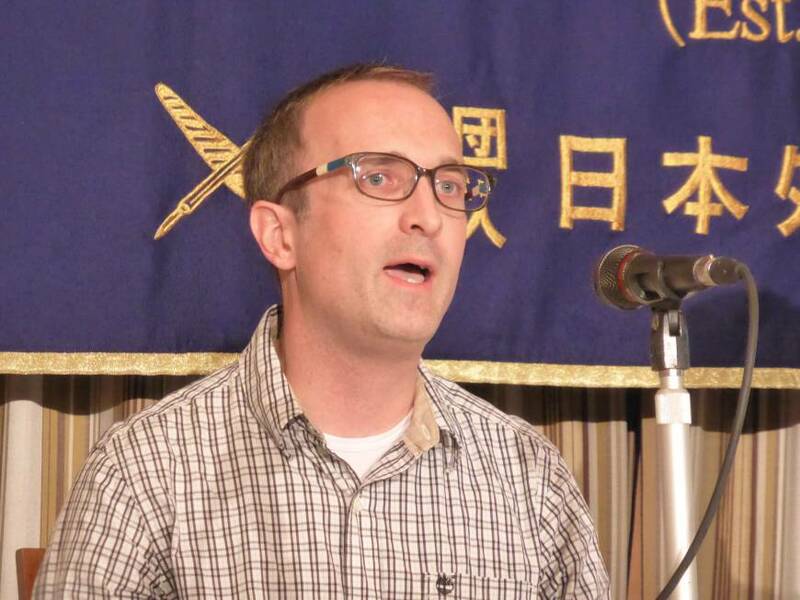 Japan Times contributor Jon Mitchell, who for years has covered the alleged existence of the toxic defoliant Agent Orange on Okinawa and issues surrounding U.S. military bases there, was among the winners of the first annual Freedom of the Press awards at the Foreign Correspondents’ Club of Japan. The FCCJ launched the awards to recognize journalists whose work has defended free speech, open society and democratic accountability as reporters and publications face an uphill battle to uphold press freedoms in Japan. They were announced on Sunday — World Press Freedom Day. Mitchell, who writes for The Japan Times and other publications and has had a book translated into Japanese, was the only recipient of the Lifetime Achievement Award, which is given to a Japan-based journalist or individual who has dedicated his or her life to promoting freedom of the press and freedom of speech, according to the FCCJ press release announcing the awards. 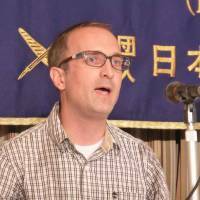 “Today, Tokyo and Washington are ignoring the will of the Okinawan people by forcing through its new base at Henoko,” Mitchell said. “It is the job of journalists to shine a light on such transgressions and hold to account those in power who commit such abuses. “With Japan’s State Secrets Act and the Liberal Democratic Party’s bullying of journalists, these are difficult times for the media. But hopefully the FCCJ’s new awards will encourage journalists to take a stand and report what the powers that be would rather stay secret,” Mitchell added. Japan Investigative Journalism Awards, meanwhile, went to Facta, a Japanese-language investigative magazine; the Asahi Shimbun’s Prometheus Trap column, a long-running series on safety issues, cover-ups and corruption in Japan’s nuclear power industry; and Jason Clenfield of Bloomberg News for his coverage of unfair working conditions at telecommunications giant KDDI. Friends of the Free Press awards, created to recognize non-journalists working for press freedom, went to three people: Shigeaki Koga, a former official in the Ministry of Economy, Trade and Industry who openly criticized government attempts to suppress free speech; Koichi Nakano, a political science professor at Sophia University in Tokyo whose “sharp and useful” analysis of Japanese politics pays no heed to taboos; and Michael C. Woodford, the former CEO of Olympus who blew the whistle on false accounting practices at the camera maker. Meanwhile, the Publication of the Year award went to the Tokyo Shimbun for its coverage of nuclear issues, political scandals, corruption and press freedom issues. The Fallen Hero award was given to Kenji Goto, an intrepid freelance journalist who was taken hostage and killed by Islamic State militants while working in Syria.